Niagara Falls is one of the most visited tourist destinations in the world and more than 22 million people arrive here each year. These visitors are taken care of by 33,000 people who work in the service industry in the area which makes Niagara one of the highest revenue-producing areas in the entirety of Canada. But who are these visitors and where do they come from? As it turns out the majority of people visiting Niagara are from the United States and from Canada. This is not a surprise; Niagara is beloved by people from both countries and for millions of people on both sides of the border Niagara might only be a few hours’ drive away. However, it’s the people that make up the rest of the annual visitor numbers that are interesting. Visitors hailing from the United Kingdom make up the third largest annual group, but visitors from China spend more money than their British counterparts. Visitors from France and Germany hold the top European numbers and visitors from Mexico, Japan, and India also make the top 10. So what should our international visitors know before they come to Niagara Falls? This handy guide can help. Do you need a passport to go to Niagara Falls? The simple answer is yes, you do. 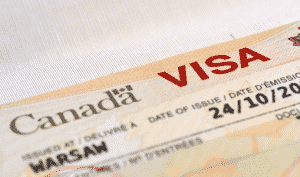 And depending on where you’re from you may also need an Electronic Travel Authorization (eTA) or a proper visa. It’s best to visit Canada’s travel website to determine what is required by the Canadian government in relation to your country of origin. Most visitors simply need the aforementioned eTA which is obtained online and others need a visa which requires a separate application. Always be sure your passport will be valid for at least six months and that you obtain all necessary travel documents well before your trip. Please note that these are travel requirements put into place by the Canadian government. If you plan to fly to the United States and visit from the American side of the falls you’ll need to consult the U.S. Department of State to learn more about those documentation and visa requirements. Traveling with children to Canada is usually just as simple as if you, an adult, were traveling alone. However, due to international abduction and child custody laws you may need to take some additional steps if you share custody of a child and you and the child are traveling without the other parent. You may need a certified letter signed by both custodial and non-custodial parents to travel internationally with your child. Check your home country’s laws first but Canada does recommend a letter to help facilitate the entry process. Children from the United States who are younger than 16 can enter Canada and return to the U.S with documentation of citizenship in lieu of a passport. This generally means an original and authenticated birth certificate will suffice but a passport is always better. Again, if you are a citizen of the United States and are traveling with a minor child and share custody it’s best to consult the terms of that custody agreement to ensure that you have permission to take the child abroad. Currently, Canada does not have any mandatory vaccine or health requirements for entry to the country but it does have some suggestions that can help make your visit a healthy one. These include vaccines for Hepatitis A which can be found in every country in the world and is contracted through contaminated food or water. A Hepatitis B vaccination is also recommended, especially if you plan to get a tattoo or piercing. It’s also wise to have a tetanus booster according to your vaccination schedule. Niagara Falls offers a number of clinics and hospitals that welcome locals and visitors alike. If you take any prescription medication or have a health condition, be sure to bring copies of your prescriptions and copies of your health records from your personal physician. This will help local doctors immensely if you should have a health emergency that requires urgent care. Most international visitors fly into Toronto, Ontario and either use public transportation or a rental car to reach Niagara Falls, which is only about an hour-and-half drive along the beautiful shores of Lake Ontario. 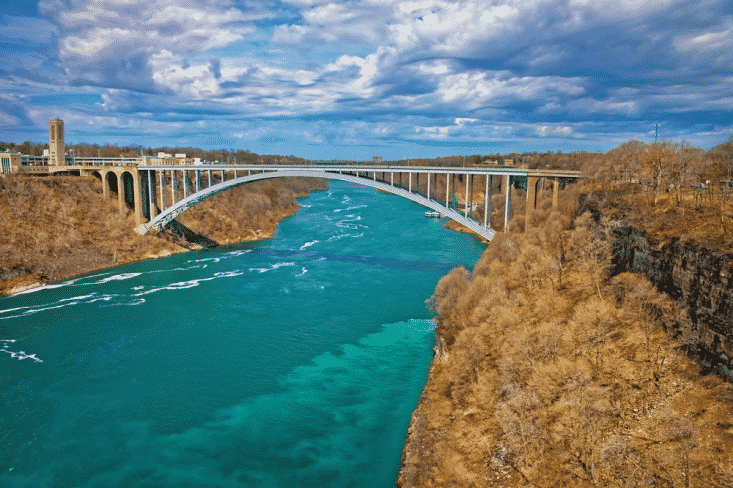 Those who plan to arrive from the United States either fly into Buffalo, New York and use a rental car, bus, or taxi to make the final few miles to the city of Niagara Falls. The Niagara Falls International Rainbow Bridge connects the cities of Niagara Falls, Ontario and Niagara Falls, New York. While this is the easiest place to cross, please note that this is an international border and you must have the required documentation to cross from one side to the other and back again. Double check with your own country’s department of travel as well as the respective departments in Canada and the United States to be sure you have the correct paperwork. The United States and Canada have very different rules for entry so know what the entry process is well before you book your transportation. Canada is one of the most popular countries in the world to visit and Canadian authorities have tried to make the entry process as simple as possible. So before you book your trip to Niagara Falls, be sure to consult both your home country and Canada’s rules for entry to ensure your trip goes off without a hitch.